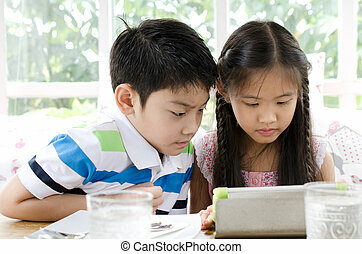 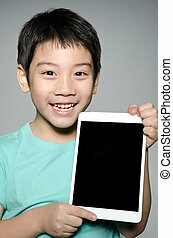 Asian child holding digital tablet ,with we make it easy! 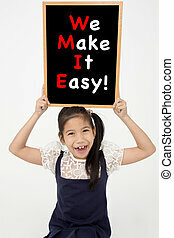 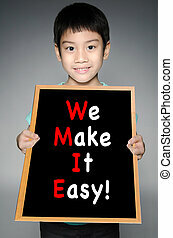 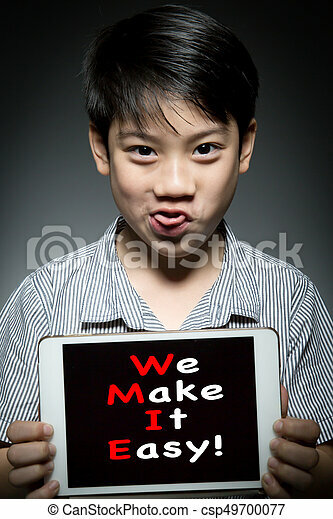 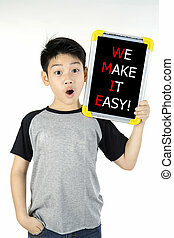 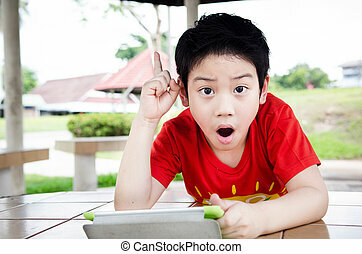 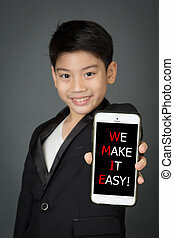 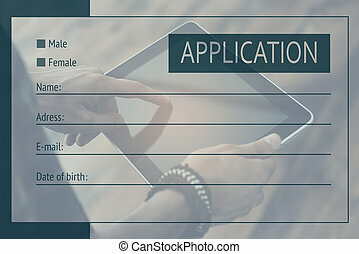 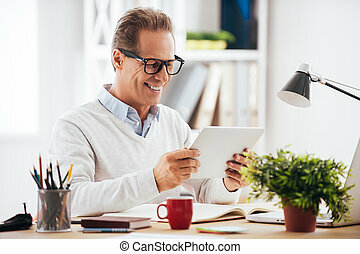 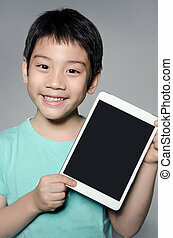 Happy asian child holding digital tablet on gray background with we make it easy! 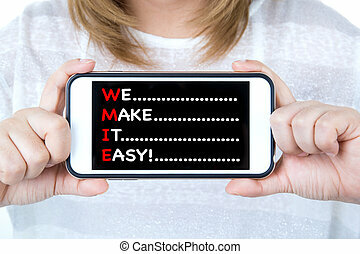 message on screen. 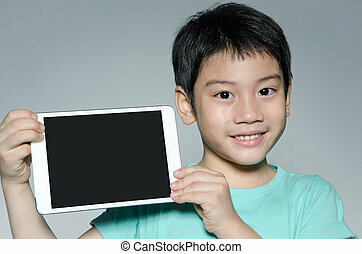 Asian Child Holding Digital Tablet ,with We Make It Easy! 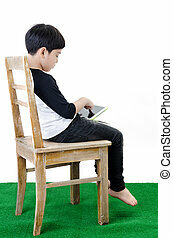 Baby boy is sitting on floor playing with tablet pc. Close-up photo of the hands. 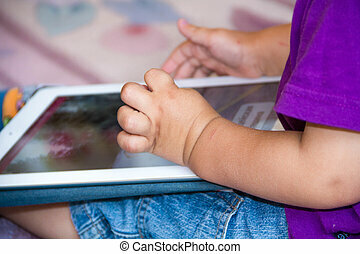 Little with touch pad, early learning. 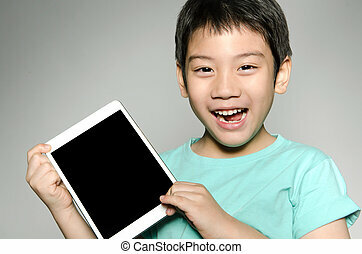 Little asian boy smiles with tablet computer on playground background . 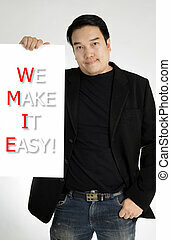 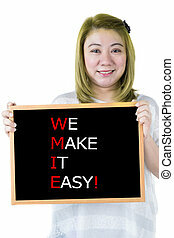 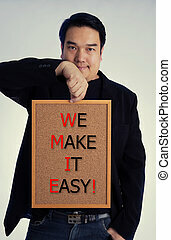 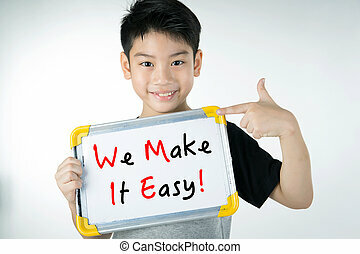 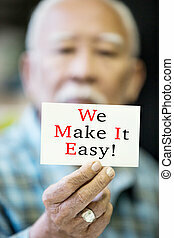 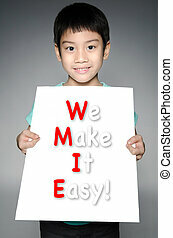 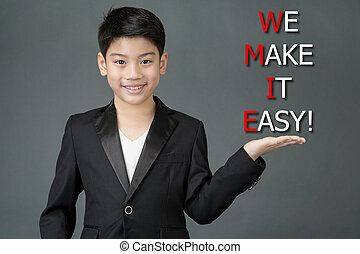 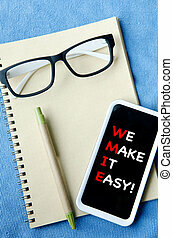 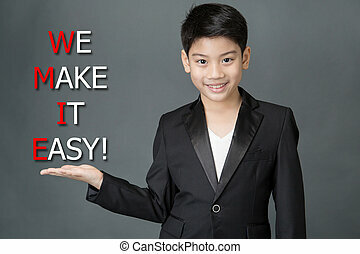 Asian man in black suit with WE MAKE IT EASY! 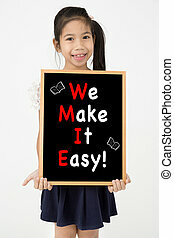 message on white board ,on gray background. 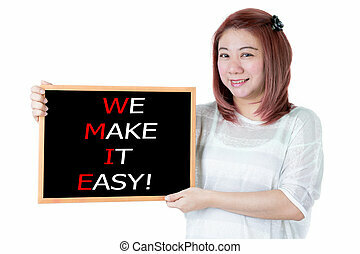 Asian business woman showing cell phone with a message We make it easy!